Known as the Pink Island, Flores is marked by massive undulating volcanic origin, this cones arise from gentle slopes, craters steep rocky walls open landscape that become ponds. These natural traits of a hectic time, today is a sweetness. On top of Morro Alto you can see the green mass of native forest Laurissilva, jutting streams and waterfalls, showering this natural garden of colorful flowers such as pink azaleas and hydrangeas. Water fountains are at the surface of the central plateau, the wide valleys until flowing into the ocean immensity, where even hard drive turbines are several hydroelectric power plants on the island of Flores. 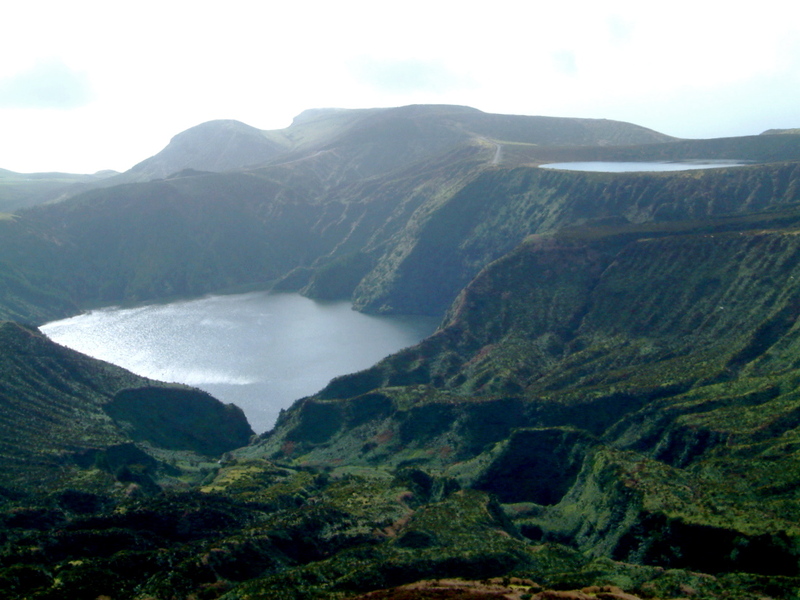 This island contains 7 volcanic craters turned into lakes: Rasa Caldeira and Funda Caldeira, despite being close to each other, these are implemented on different levels, its vegetation and bunches of flowers are born on its slopes, in the center of island, are the White boilers, Drought, Long and Negra (or Funda), this 105 meters deep and with a special shade of blue. Already isolated from the others, the Caldeira da Lomba is surrounded by a small rise and hydrangeas sauces. 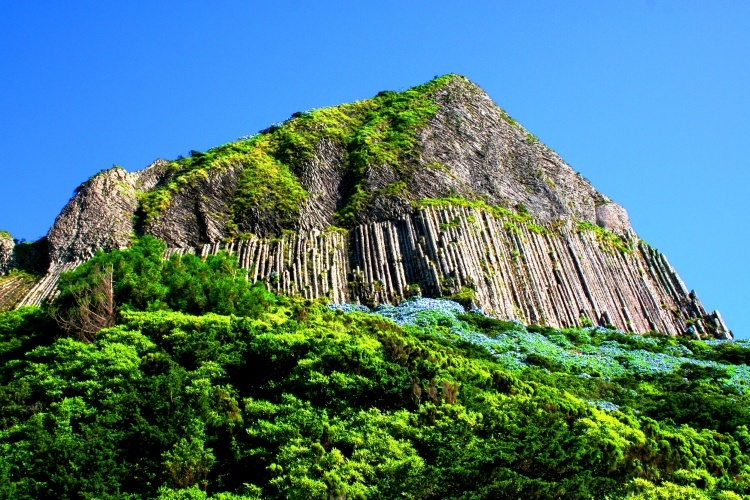 Flores is one of the most famous natural monuments of the archipelago, the Rock Fillers, which is a set of large vertical columns of basalt, its prismatic disjunction is like a giant organ pipes and is covered with mosses, lichens and other vegetation the basaltic rock. The geological formations with a peculiar form continue in Morro dos Frades, and you can find the stone silhouettes of a monk and a nun. Even more symbolic, is in the Monchique Islet which is represented by a westernmost piece of land of Europe, being seen from the porthole of Ponta Negra, near the Albarnaz Lighthouse, its black rock puts an end to Europe and serves as preface to the discovery of an island and an archipelago. 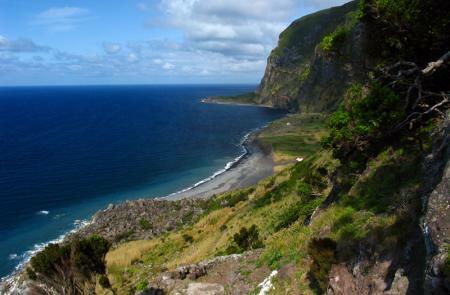 In the area of ​​Faja Grande, Fajãzinha is one of the most beautiful coastlines in the archipelago landscapes, both for its extensive green wall, along with two dozen towering waterfalls, which highlights the Ribeira Grande, which crashes in a jump 300 meters. 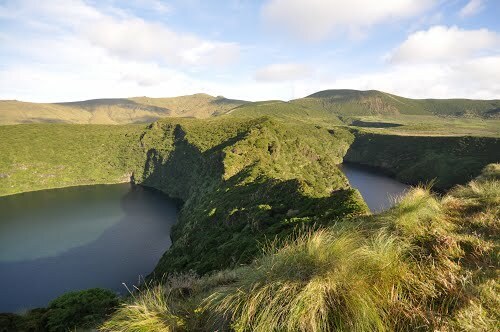 At the base of the escarpment, are still a number of permanent water bodies, including the Well Cod or the Well of Alagoinha, also known as the Patos Lagoon. Among Islanders, tips, low, coves, coastal caves, disjunctions prismatic, waterfalls and lush valleys to the coast of Flores is a world to explore. To the south, the high cliffs as the Faja New in the High Rock Point and the Faja de Lopo Vaz are accessible points to a walking path installed along the cliff. 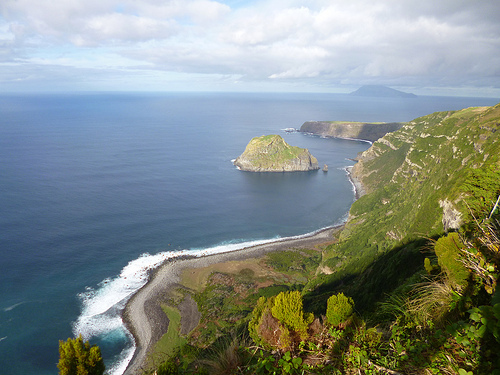 To the north, low and linear coastal cliff between Ponta Delgada and Albarnaz tip, allows the passage to the impassable reliefs the northeast coast of Flores, crossed by hiking trails from the Lighthouse Albarnaz to Ponta da Fajã a stunning view . Already in the lava fajãs Santa Cruz, Lajes and Fajã Grande, the Atlantic Ocean is wound with low rocky tips of black lava, and can be observed on calm days the gleaming seabed and tinkling of life. 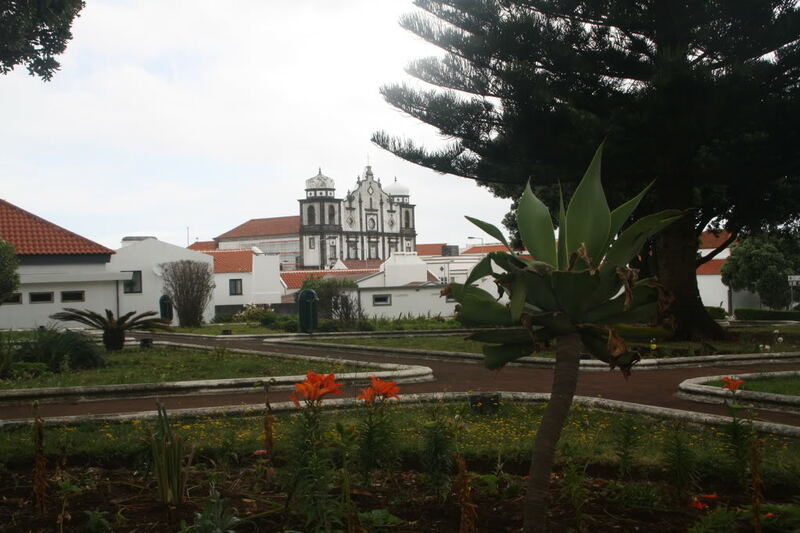 City of Santa Cruz Garden – near the former convent of St. Bonaventure, is installed the core of the Flowers Museum and the Health Center, and is a landscaped green space with large trees, such as pines and metrosideros. 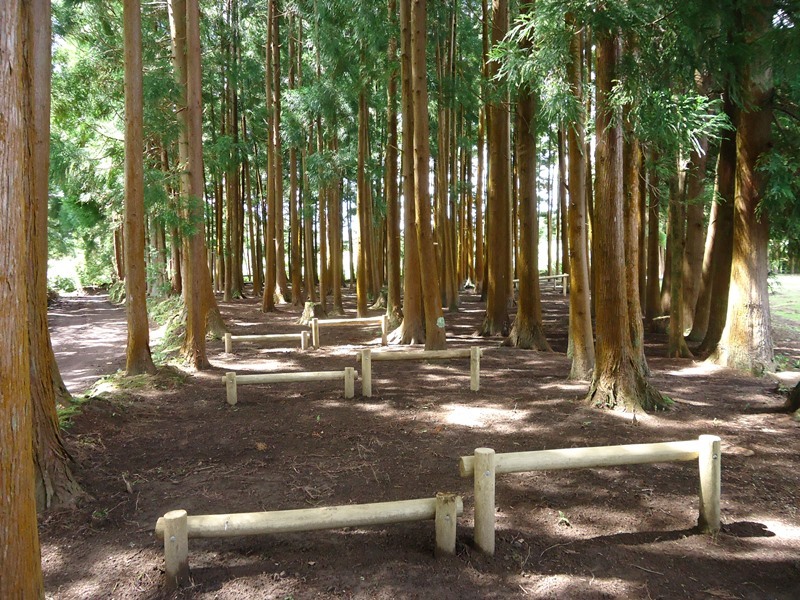 Recreational Forest Reserve Luís Paulo Camacho – lies about 250 meters above sea level, this is aimed at preservation and conservation of some species, such as trout and is home to some exotic birds. 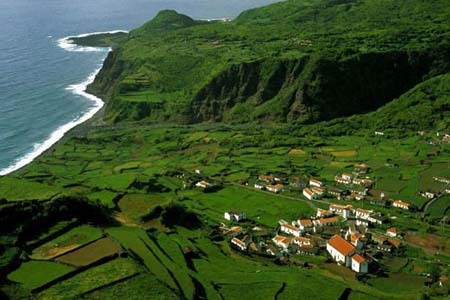 Fajã de Lopo Vaz – this is the name of one of its first settlers, was the first inhabited place in Flores and this fajã contains goats living in the wild. 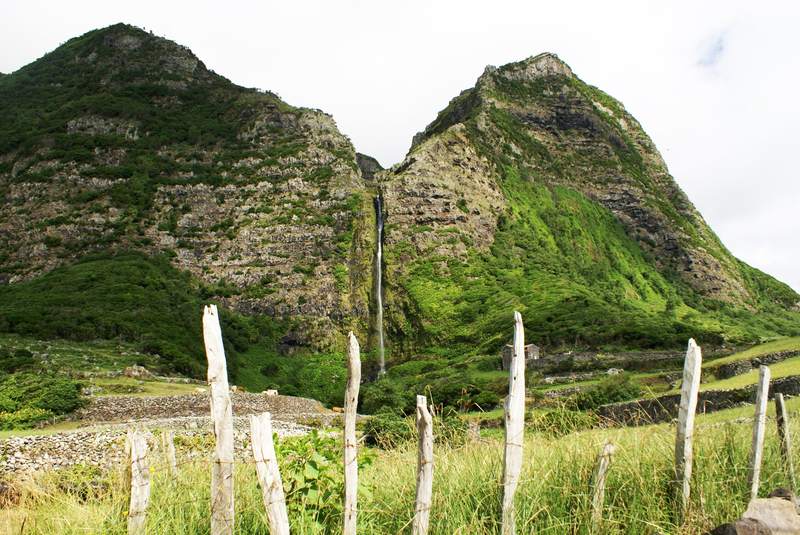 Fajãzinha – a small fajã that are spotted dozens of waterfalls, with the largest about 300 meters vertically. 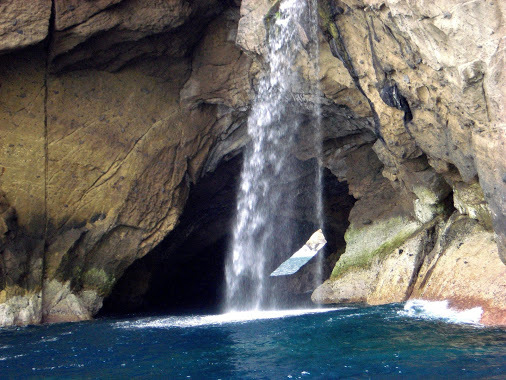 Cave of Enxaréus – a semi-submerged cavity is 50 meters long and 25 meters wide, and visitable only by sea, this cave can accommodate any size vessels, having served as a hideout for pirates and smugglers who prowled the Flores. 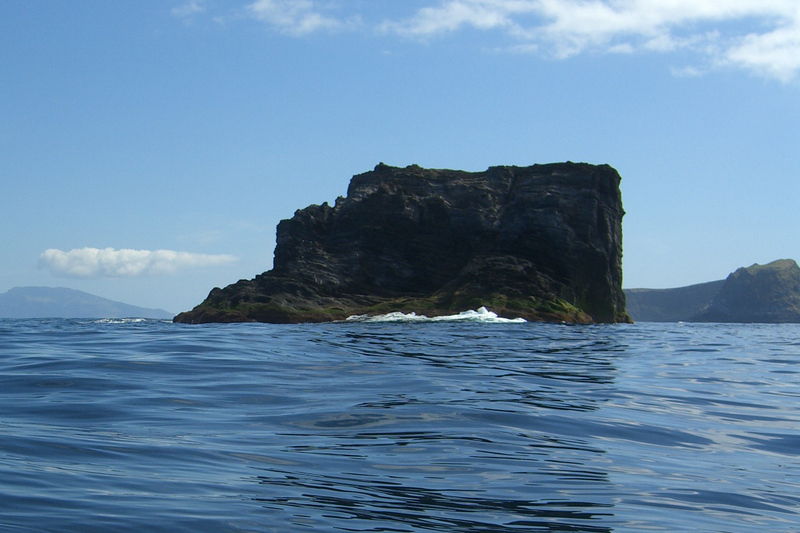 Islet of Monchique – this is the westernmost point of Europe, having served as a reference point for calibrating the navigation instruments. 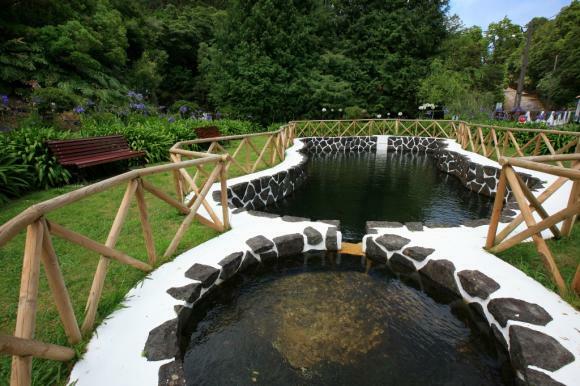 Bacalhau well – in Faja Grande, is this small pool fed by a waterfall. 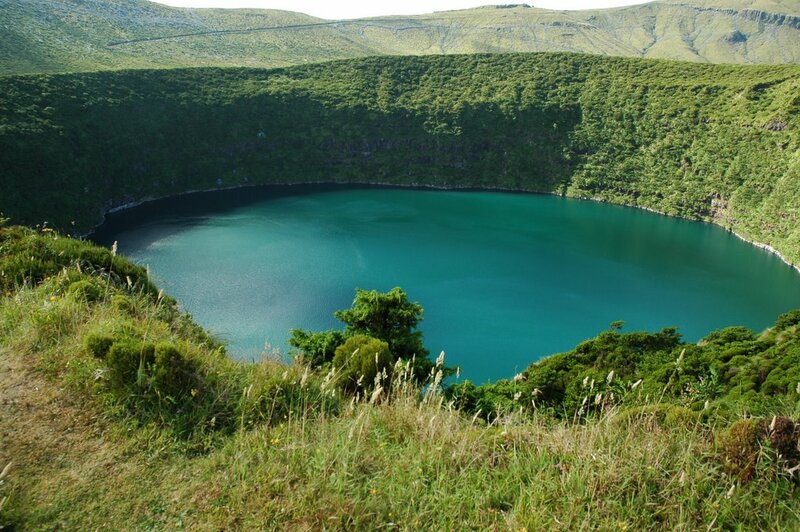 Sete Lagoas – these are the boiler of Flores and their names are related to their physical and landscape features: Lagoa Funda, Branca, Seca, Comprida, Rasa, Lomba and Negra. 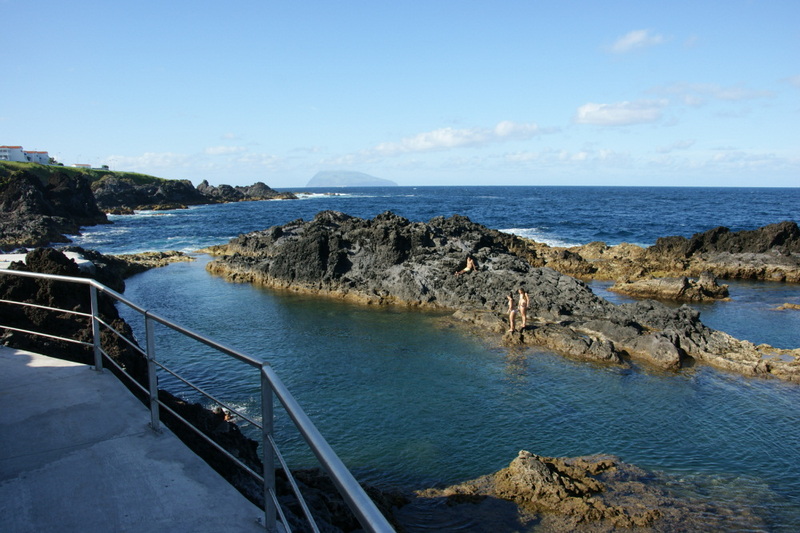 Natural Pools of Santa Cruz das Flores – located in Santa Cruz, this set of pools becomes the main attractions on Flores, during the bathing season.